Donna Perillo, DC, MS, NMD, CNS, is a Doctor of Chiropractic, a Diplomate of the Chiropractic Board of Clinical Nutrition and a Diplomate of the American Chiropractic Board of Sports Physicians. She has been practicing in New Jersey for over 25 years. She received her Chiropractic degree from New York Chiropractic College and her Master’s Degree in Clinical Nutrition from Bridgeport University. 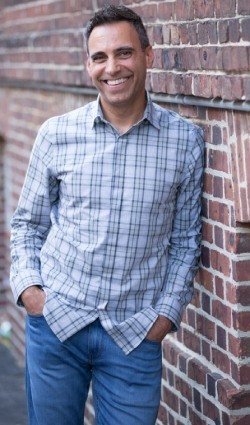 Dr. Perillo, DC is also a Fellow of The International Academy of Clinical Acupuncture, a Certified Nutrition Specialist, and a Doctor of Naturopathic Medicine. She is affiliated with numerous professional & civic organizations and leads seminars on various health-related issues. She has been featured in Self Magazine as one of “27 Curative Chiropractors.” She has been nationally published in the Journal of Sports Chiropractic and Rehabilitation, Contours Express, and Taste for Life. She has written an article, Seven Healthy Habits of Highly Productive Business Owners, in the book Big Bold Business Advice. She has also written and produced Arthriticise Relief from Arthritis of the Neck, Arthriticise Relief from Arthritis of the Lower Back, and Habits of Healing 21 Day program. 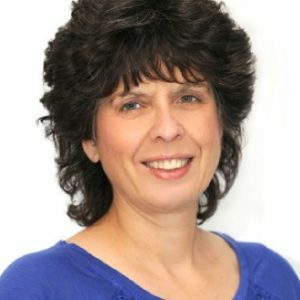 Her other achievements include: team physician at Felician College, Educational Coordinator of the Red Cross’ Back Injury Prevention Program, PBA physician, instructor for The Coaches Certification Course on Injury Prevention and Treatment, and a committee member of the Bergen County Council on Physical Fitness and Sports. Dr. Perillo, DC is the recipient of numerous civic awards including The County of Bergen Award for Community Service and Women of the Year by the Lodi Boys and Girls Club. She has successfully completed postgraduate work in numerous programs such as; Industrial Healthcare, Scoliosis Management, General Radiology, Non-Invasive Muscular Analysis, Sacro-occipital technique and Advanced Cranial and Temporomandibular Treatment. She is certified in Hospital Privileges and Protocols. Her purpose is to promote the physical, emotional and nutritional well-being of her patients by achieving an optimal state of health and harmony, through natural, drugless healthcare.